HIV is a life-changing diagnosis that brings a number of symptoms and related illnesses. Some who suffer this disease qualify for long term disability, but are often unfairly denied. Can I qualify for Long-term disability or Social Security disability if I have HIV / AIDS? Over 1.2 million people are living with HIV in the United Sates today according to the Centers for Disease Control (CDC). Although there are advanced methods and treatment which can lessen the effects of the disease your ability to maintain gainful employment depends on how advanced the disease is and whether it has progressed to AIDS. 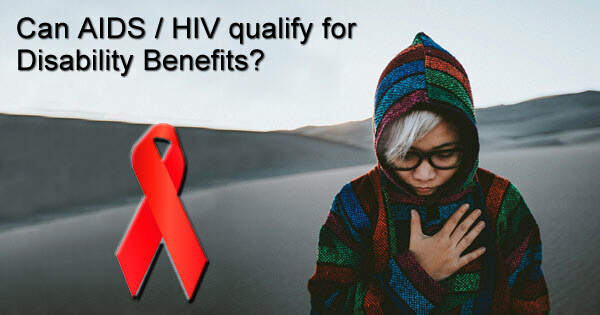 If you or someone you know has been diagnosed with HIV/AIDS, you may qualify to receive Social Security Disability (SSDI) benefits or Long Term Disability (LTD) benefits. 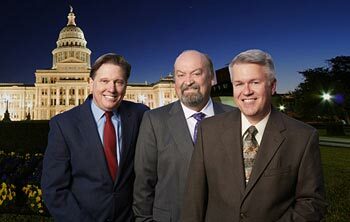 Call 512-454-4000 to schedule your Free Consultation today. Treatments can create side effects which can drastically affect the ability to continue working and absences related to the disease and time spent pursuing treatment can result in poor attendance records which can be unacceptable to employers. The costs for treating HIV are extremely high with estimates for average lifetime expenditures approaching $400,000 according to the CDC. Getting approved for Social Security Disability or Long-term disability can help offset a portion of the financial burden and if approved for SSDI you will be eligible for Medicare after a 24-month qualifying period. The Social Security Administration lists HIV in it’s Blue Book under the Immune System Disorders Section. Contact a Long-term disability attorney at 512-454-4000 for a free consultation and see if you can get disability benefits while suffering from HIV / AIDS. If you have been denied disability don’t give up! If you have HIV / AIDS you may also qualify for long-term disability benefits. HIV is a life-changing diagnosis that brings a number of symptoms and related illnesses. Some who suffer this disease qualify for long term disability, but are often unfairly denied. 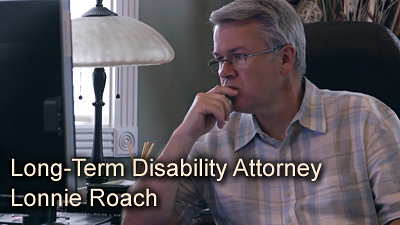 Lonnie Roach, of Bemis, Roach & Reed, has helped several people suffering with HIV fight unfair denials. One client, from Dallas, was totally disabled due to HIV/AIDS and the various symptoms and side effects of the disease and the drugs required to control it. Every qualified medical doctor who had reviewed his records, including doctors hired by CIGNA, his Long Term Disability insurer, agreed with this assessment. The only contradictory medical evidence CIGNA cited came from a physical therapist and a doctor who, for the past 20 years, was the director of the Burlington County Correctional Facilities in Mt. Holly, New Jersey. Our client had been advised by his doctors that an attempt to return to the workforce could be fatal due to the “ravages of his wrecked immune system”. In fact, each time he attempted a return to the workforce, he contracted a severe illness (pneumonia, meningitis). He had been awarded SSDI. After over 15 years and several diagnoses of total disability from multiple physicians, CIGNA still denied LTD benefits. After filing suit to pursue his claim, CIGNA was convinced to settle, providing our client a lump sum payment. 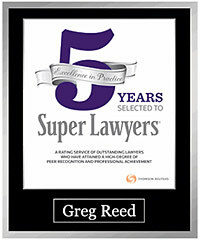 SuperLawyers rated Lonnie Roach – highly published lawyer for disability claims in Texas. A Lincoln Financial enrollee from Houston suffered from HIV dementia, a progressive and debilitating disease. There is no medical research supporting a cure or a course of action to regain mental function lost to this disease. Social Security determined that he was disabled and Lincoln Financial Group initially approved our client’s Long-Term Disability claim. Later, though, and in spite of a deterioration in his condition, Lincoln decided to deny any further benefits under the plan. Lincoln failed to explain how our client was capable of performing each of the main duties of his regular occupation. Instead, it only submitted a laundry list of positive notes gleaned from the medical records and ignored all of the documented disabling conditions which prevented him from performing each of the main duties of his regular occupation. We appealed his denial and got his benefits reinstated. Due to HIV, another client had been certified as totally and permanently disabled by his treating physicians and found to be totally and permanently disabled by the Social Security Administration. The Hartford had known for several years that he suffered from an incurable disease which totally disabled him and that he would never get better, yet The Hartford denied his claim. He was medically restricted from working. He had reached maximum medical improvement and his treating physician did not anticipate that he would ever be able to return to work. We fought the denial on our client’s behalf and were able to get him a lump sum settlement.